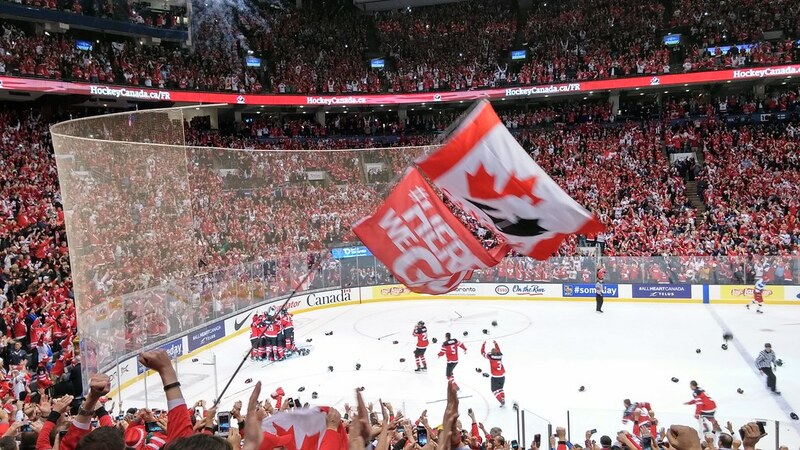 I absolutely adore the world junior hockey championship. Every year, I look forward to watching Team Canada and catching as many games as I can. I've been watching every year, but this is the first year my son is as excited as I am. I asked him why he's suddenly on board, and he tells me it's because of William Nylander and Mitch Marner. My son is following their AHL and OHL seasons closely, getting excited about his Leafs' future. He'll be beside me at 1pm today when Canada faces USA in the opening game. The Leafs are actually sending five prospects to this year's world juniors. Let's hope for a repeat of this. Not a lot of shots in the first period, Go Canada! Hmmm, I think we got jinxed. . .